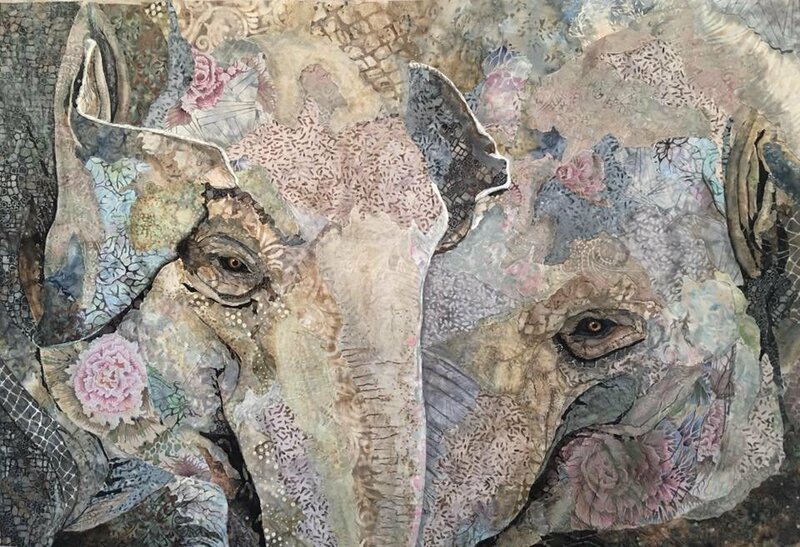 Spend two full days making this beautiful quilt, Sandra Mollon will walk you through the technique of fused raw edge applique and inking to create these realistic elephants. The event will take place at The Purple Orchid Resort and Spa. The price of the class includes two days of instruction, the pattern, lunch each day and all day beverage service. If you are interested in staying on the property please contact The Purple Orchid Resort and Spa at 925-606-8855. Please ask for Rhiannon or Danielle and they can assist you with booking rooms.